Egg roast is a native dish in Kerala. 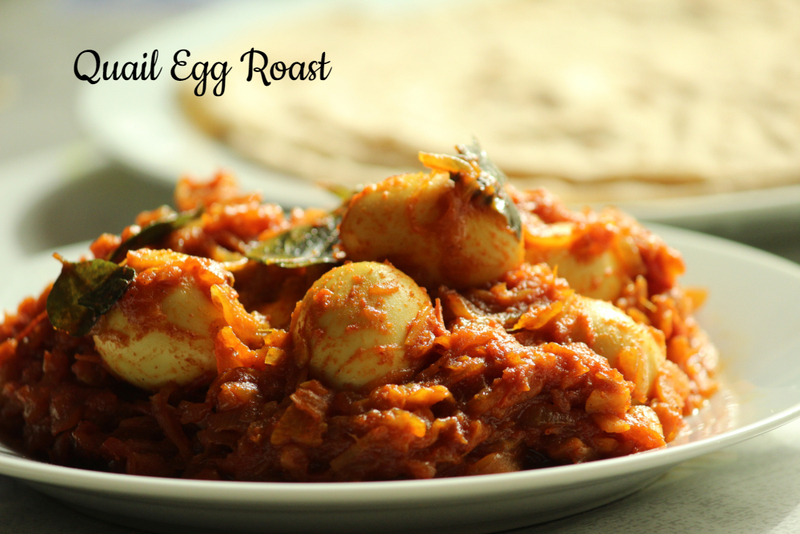 The boiled eggs are added in to a roasted masala gravy. Quail Eggs are fairly small and have lots of vitamins in it.The egg roast goes well with pathiri, appam, idiyappam and parotta. It is one of simplest roast preparation and at the same time a delicious side dish. Heat coconut oil, in a pan and add cumin seeds; splutter it. Add chopped onions; Sauté until, golden brown in color. Add chopped ginger, garlic and slit green chillies. Mix well for a minute in medium flame. Add turmeric powder, red chilly powder and coriander powder; mix well. Add chopped tomatoes and sauté for a minute. 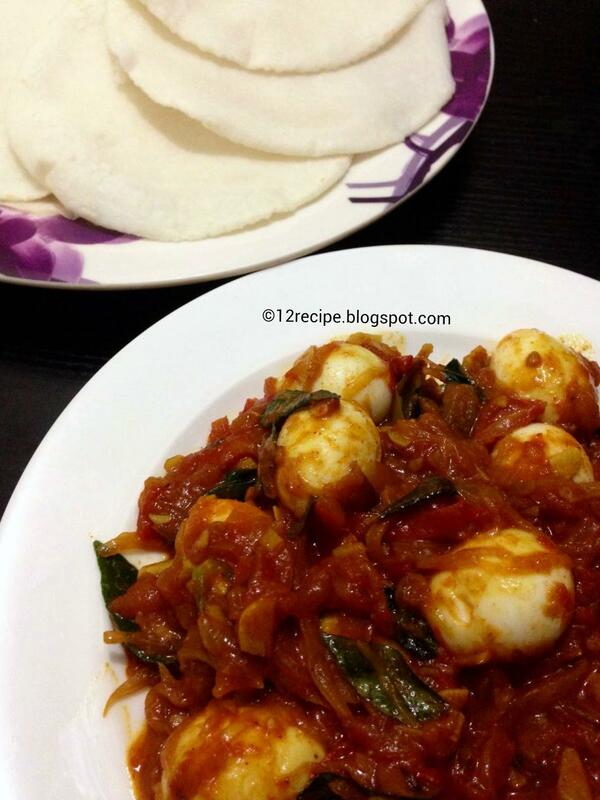 Add half cup of hot water and curry leaves in to it. Slow cook it until the masala and water forms thick gravy. Make small narrow slits on the boiled eggs and add it in to the masala. 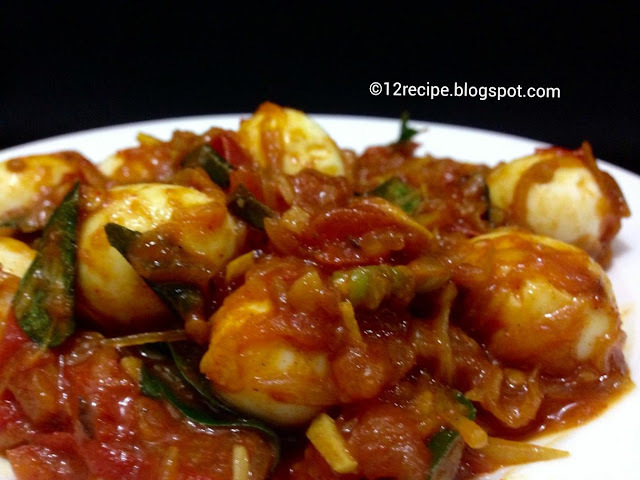 Cook for another 5 minutes until the masala is well coated with eggs. Serve hot with the choice of your breakfast.